I'm going to start this blog post with a bold statement: I think that the Lumatere Chronicles by Melina Marchetta are my favorite fantasy novels of all time. And I'm going to work really hard to justify that statement, but since a list of everything I love about those books would be a million miles long, you'll have to settle for this blog post instead. The first novel, Finnikin of the Rock, introduces us to Lumatere, a tiny country in the center of the continent Skuldenore. Finnikin is the son of the King's Guard and best friend to Prince Balthazar, and he dreams of being just like his father one day, serving his king. When Finnikin and Balthazar are nine years old, an imposter infiltrates the palace, murders the entire royal family, and seizes control of Lumarere. In the aftermath of this unspeakable event, a curse is laid upon Lumatere and her people are torn apart: half are exiled, and half are trapped inside the kingdom's walls by dark magic. Finnikin is among the exiled, and he travels the kingdoms of Skuldenore with Sir Topher, soliciting foreign courts for aid for Lumatere and attempting to gather his people. 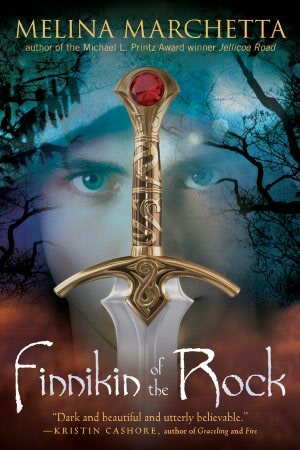 When Finnikin is nineteen he is called to a distant cloisters where he meets Evanjalin, a young novice who believes in something that Finnikin has long lost hope for--reclaiming Lumatere. But unlike so many who hope to break the curse, Evanjalin promises something that seems impossible: If Finnikin can assemble the people of Lumatere, she can produce the heir, Prince Balthazar, supposedly dead. Finnikin doesn't believe Evanjalin, and yet he finds himself traveling across the countries of Skeldenore, finding his father and the rest of the king's guard, and uncovering intrigue and conspiracies along the way. When Finnikin realizes that Evanjalin has been keeping secrets, he has to make a decision between the future he always imagined and risking it all for the future he never let himself hope for. I love Finnikin. He was the first thing I loved about this novel--I love how much he loves his country, and Marchetta made his pain just as tangible to the reader as it was to him. The world building in this novel is nothing short of spectacular, and it keeps unfolding in delightful bits and pieces, in wonderfully surprising ways. Marchetta does a brilliant job of portraying different countries and cultures, and depicting the pain of displacement and the ugliness of discrimination and poverty. 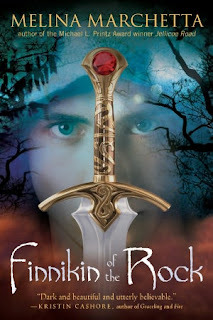 It's not often that sort of terrible reality is reflected so acutely in fantasy novels, and Marchetta not only manages to capture it perfectly, but use it to help the reader connect with the characters on a very personal level. As in her contemporary novels, Marchetta's strength is in her character building and dialogue. The conversations reveal so much about the characters, propel them through the story in exciting and surprising ways, and the voices are all so exact and perfect and believable. Despite the length of the novel and occasional necessary chunks of backstory and exposition, the dialogue and how it brings the characters together make this book read quickly. The story that unfolds is exciting, and it builds to an inevitable and dramatic climax. It doesn't matter if you might have guessed the biggest twist of this story, because Marchetta's complex and expert plotting provides plenty of smaller and equally satisfying twists and turns you won't have seen coming. Book purchased from my indie. Because this is a novel that you're going to want to mark up and treasure forever. Melina Marchetta is an incredible author. The fact that she can pull off stellar contemporary fiction and fantasy fiction proves her skill. This is a great series!